Donnie Darko (Jake Gyllenhaal) is an emotionally troubled teen afflicted with visions and sleepwalking. Donnie begins hallucinating a new ‘friend’ Frank (James Duval), who appears as a 6 foot tall bunny in an evil looking mask, who tells Donnie that the world is going to end in just over 28 days. Frank’s influence grows on Donnie, controlling him through suggestion and with theories pointing to the possibility of time travel. Like most fans of Donnie Darko, I first saw the film on DVD, and not as a theatrical release. 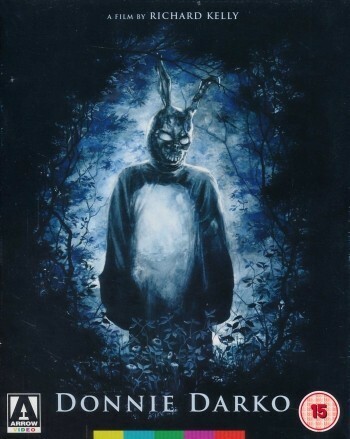 DD can definitely be counted as one of the first major success stories of the DVD format, as it brought the film to a much wider audience, spawning countless new home releases and even a spin off sequel, S. Darko. The mind bending conundrums and paradoxes of DD’s main story combined with the changes between the theatrical release and a Director’s Cut left much up to interpretation and internet sleuthing. It didn’t hurt that it was one of the first attempts at digging 80s nostalgia out of those of us who had grown up during them and had just lived through 9/11. 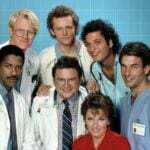 It was the perfect storm for me, I dug it a lot on first viewing and have always held it in high esteem. This 2018 version is based on much of what Arrow put into a big box collector’s edition during 2017, eschewing multiple cuts and a bit of the other content, but keeping the excellent ‘Making of’ discussed below. This version has just enough for me to chew on, to give DD a fresh look, without it being a drag to go through it all. It’s funny in that I find myself nostalgic for this film itself, not just in the 80s nostalgia it references. Seeing Jake, sister Maggie, and faces like Seth Rogen’s early in their careers is a hoot. The music is now self referential too, the closing track “Mad World” has gone on to blockbuster success, then found success again as part of the Gears of War series. The fundamental themes of DD remain as relevant as ever too. Emotional distress and the questionable efficacy of medicinal solutions; fear of conformity and authority; fear of fear itself; young love; family bonds; the future and our place in it. And then you have the biggest of big time travel dilemmas there is: If you knew what the future holds, what could or would you do to change it? All of this comes crashing down on Donnie, literally and figuratively, but we get to ask ourselves: would we do things differently? Arrow commissioned to a 4k scan of the theatrical release for their 2017 version, and that same Bluray down conversion is used here. Will we ever get to see DD in real UHD 4K? Sign me up if so. 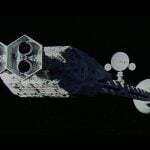 What we do see here is the limits of the film technology employed by a 4 million dollar production, circa 2000. 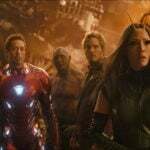 To make the most of their budget they used a new high speed 800 ASA Kodak film and miraculously acquired anamorphic Panavision cameras to capture the action on. 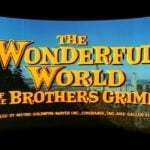 The end result is a stunningly detailed widescreen presentation for those scenes which are well lit, and some notable grain for those scenes where natural light outdoors in dusk and dawn were relied on. It’s about as good as you could expect with those limitations, but it is there. Bottom line: zero halos, well balanced colors, evenly lit, a little bit of noise. No big deal! The original 5.1 presentation is preserved well, and a few notable scenes bring the stage all around you while things shake, rattle and roll. The soundtrack is itself minimal with long chords that are served well by the DTS-HD capture, as is the pop music that anchors the story. The synth performances of Tears for Fears, Duran Duran and others reach well into the bass section and give the nostalgia some steroids. I for one did not have bass that good in the 80s! English is the only language available. I’m dinging it half a point for not putting the Director’s Cut and/or Sundance Cut on a second disk. 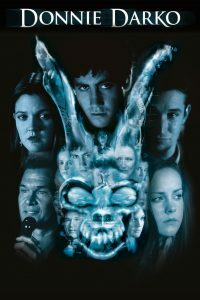 Other arrow releases of Donnie Darko have both the theatrical and DC packed in. 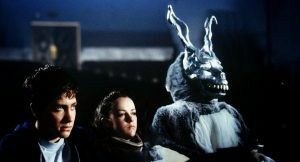 If you are as big a fan of the film as I am, spending an hour watching Deus Ex Machina: The philosophy of Donnie Darko is highly recommended. I learned a ton about the history and making of this film, including the ups and downs it had being made, distributed and released. I definitely enjoyed this second trip around with Donnie Darko and was especially happy checking out the Deus Ex Machina content. 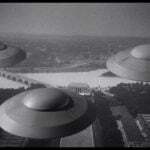 I’m not sure I’ve come away with any new theories about just what it all means, but I’m ok with that too. Sometimes a thing is ruined by digging too far into the details or taking too hard a stance on what you think the truth of it is. Donnie Darko is like that for me, I can make solid Schrodinger’s cases for both sides of a great many of the debates about this film, and I like it that way. How does this transfer compare with the older, non-Arrow BD? I really like this film – – just the theatrical cut – – but if the Arrow transfer is not a significant upgrade I will just hang on to what I have and hope for an eventual UHD release. Couldn't say! I only have the original DVD from 2002! The Arrow release is a MASSIVE upgrade compared to the original Blu-ray from Fox. You can see screengrab comparisons of the two at the dvdbeaver website and the Arrow is a big improvement. Thanks Vincent. Would you have personally scored the video higher than 4? If we were talking about it compared to the original Blu-ray, yeah, probably a 4.5 (I don't think I'd rate the old Blu-ray any higher than 3-3.5). I understand why you scored it 4 stars though, given the photographic style of the film (mostly down to the use of that 800 ASA filmstock as you point out in your review). Thanks! Helpful to have a second opinion on this one!